For at-home mixologists, a well-stocked bar is already a beautiful thing. 1800 Tequila takes this fact one step further with its Essential Artist series. For at-home mixologists, a well-stocked bar is already a beautiful thing. 1800 Tequila takes this fact one step further with its Essential Artist series. In the past, these special edition bottles of blanco tequila have featured artworks by Shepard Fairey, Gary Baseman and others. 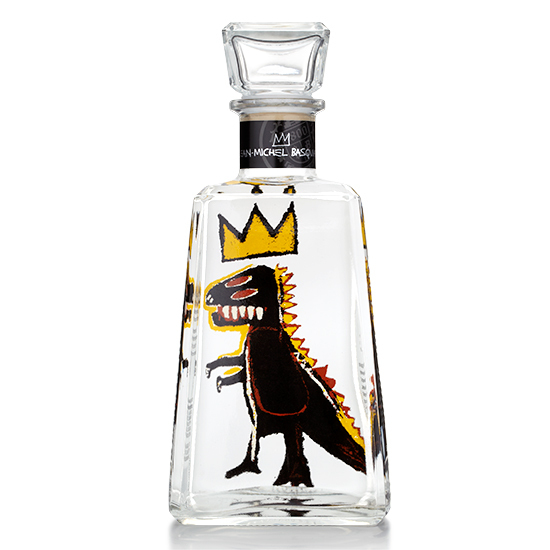 This year, the company honors the late, great artist Jean-Michel Basquiat with six unique labels featuring his vibrant, crazy, whimsical paintings. (Our favorite is the dinosaur.) The bottles go on sale soon and will retail for $30.